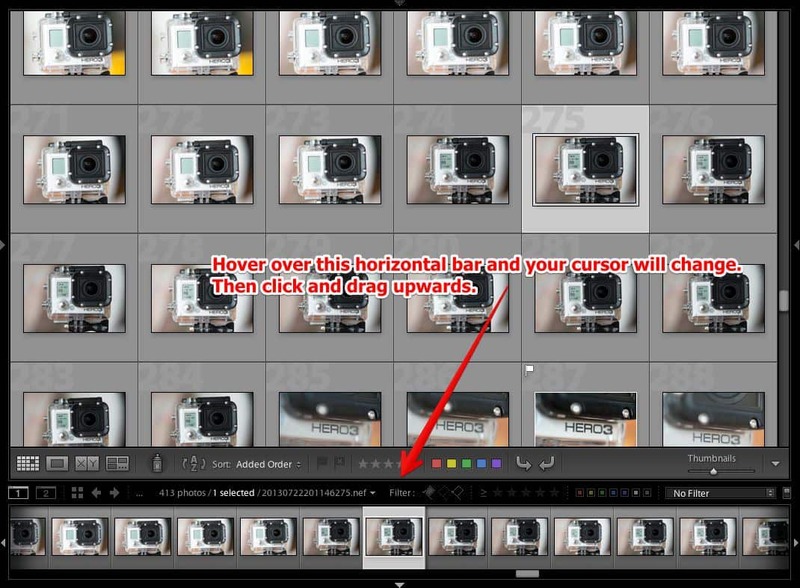 Being able to select multiple photos at once is a core task when using Lightroom, and it's useful in all sorts of ways. You an use it to select several images to export, print, or move. You can use it to compare similar shots. You can use it to reorder the images (if you're using the Custom Order view). And you can also use it to sync metadata or develop settings between multiple images. 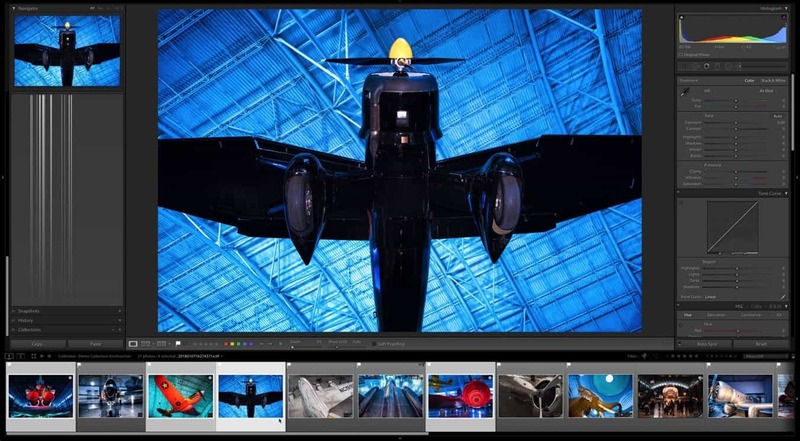 Whether you're selecting two images to compare side by side or several thousand to sync develop settings across a timelapse series, the ability to select multiple photos at once can save an enormous amount of time. Select consecutive files by clicking on one, pressing SHIFT, and then clicking on the last one. It works going forward or back. Select all by click on one image and then pressing CMD-A (Mac) or CTRL-A (Windows). This will work on all photos within the active folder or collection. Select non-consecutive photos by clicking on one, holding down the CMD (Mac) or CTRL (Windows) key and clicking one or more other photos. The one common file browser method that doesn't work in Lightroom, however, is using the mouse to click and drag a selection box around multiple images. So the selection part is pretty straightforward and mostly matches up to how we're already used to doing it in file browsers. But there are a few distinctive things about the way it's done in Lightroom that are worth mentioning. There are two areas you can select multiple images in the Library Module. The one that is often the simplest--and lets you see more images at once--is when using the Library module's grid view. Once you're in the Library module, there multiple ways to access the grid view. The simplest is simplest to press G. You can also press the Escape key. Or from the top menu, go to View > Grid. 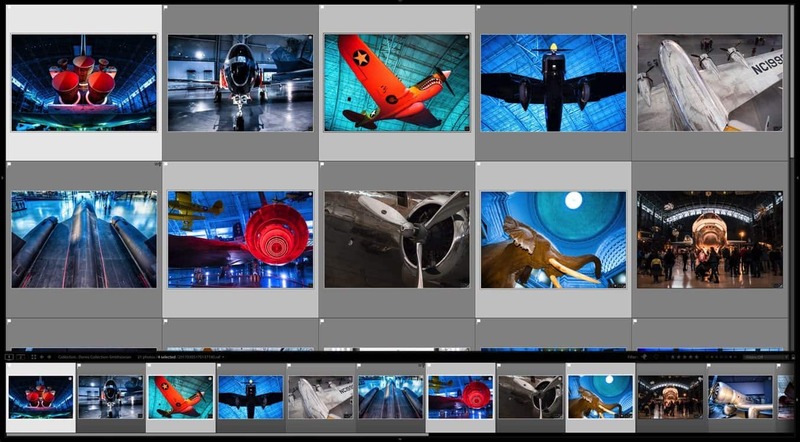 Once you're in the grid view, you can click on any of the thumbnails and use the usual keyboard short cut such as CMD-A / CTRL-A to select all, click and holding down SHIFT to select consecutive images, or hold down the CMD / CTRL keys while selecting non-consecutive photos. There is something to know here that's not necessarily obvious or self-intuitive. If you look closely, the first image you selected is surrounded by a slightly paler gray than the other selected images. That's the active image. If you were to stack the images, that would be the one that's at the top of the stack and used as the cover image. If you sync develop settings or metadata between the images, that's the one that is going to be used as the source and its settings will be applied to the others. To choose a different one as the active image, release the CMD/CTRL key and click on the desired selected image (note that if you click on an unselected image, it will unselect all of the ones you've previously selected. To unselect images individually, hold down the CMD/CTRL key and click on that thumbnail. 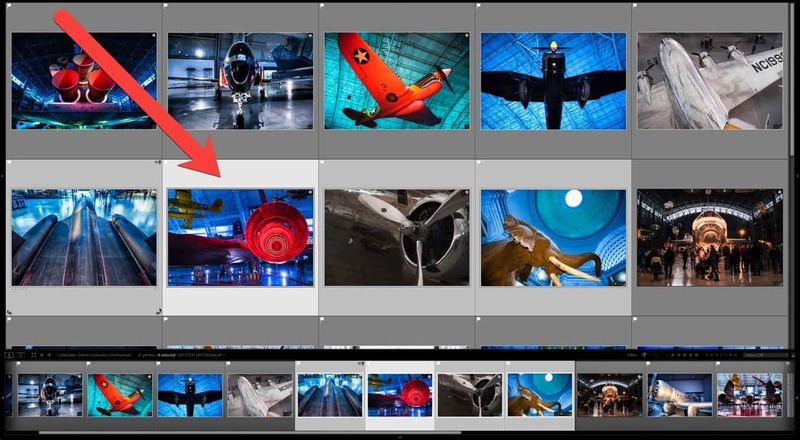 The Library is the only module in Lightroom that uses the grid view for selecting images, so there's a slightly different option for selecting multiple images in the other modules (it also works in the Library module). So for all of these modules, the way you select multiple photos is to use the thumbnails in the filmstrip at the bottom of the screen. 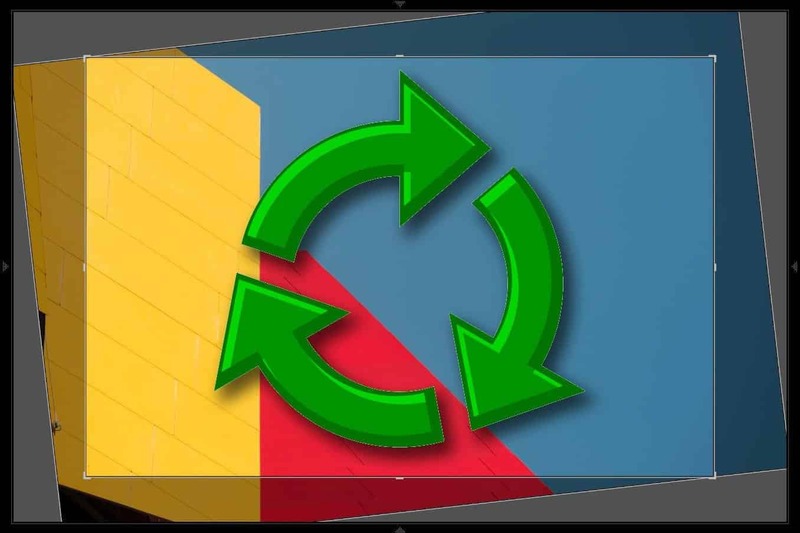 It works the same way, with the same keyboard shortcuts and color shading differentiating the active image (which is also the one displayed in the main panel for the modules that display a single image). 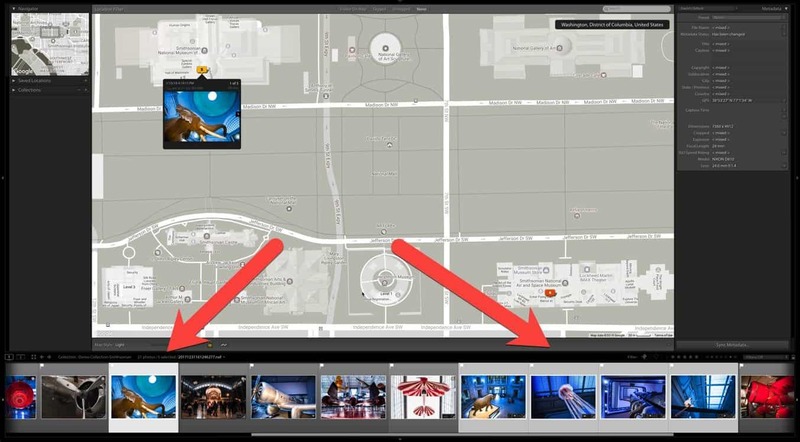 There's another way you can select multiple images in the Map module. This is useful when you have groups of images that are tagged with geolocation data. In that case, you can click on a marker and it will automatically select the the corresponding images in the filmstrip at the bottom. You can also select multiple markers--just hold down the CMD/CTRL key as you do so.